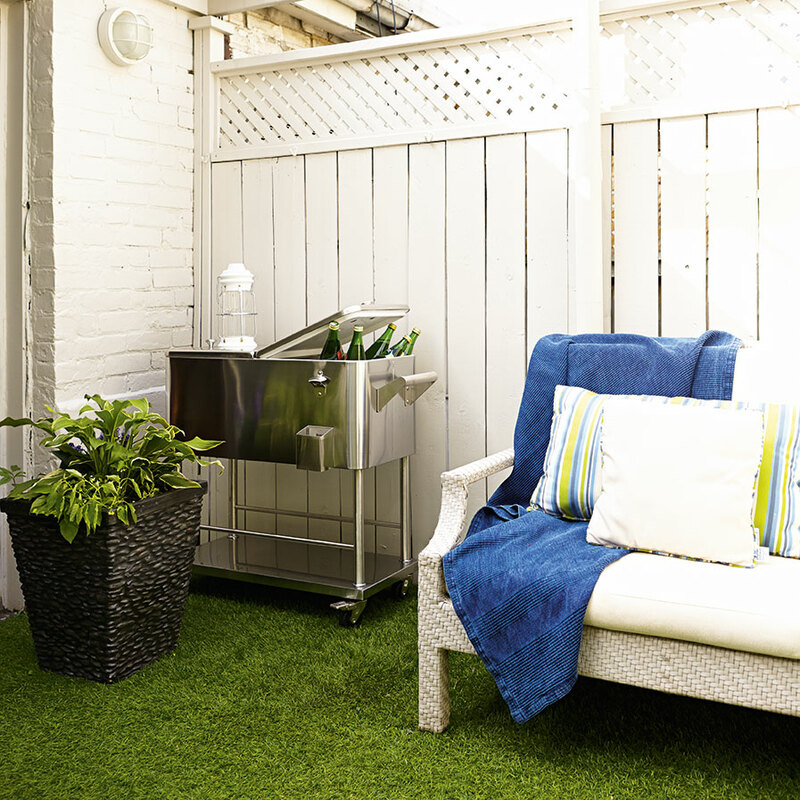 Last summer I embarked on 2 outdoor makeovers at my townhouse. 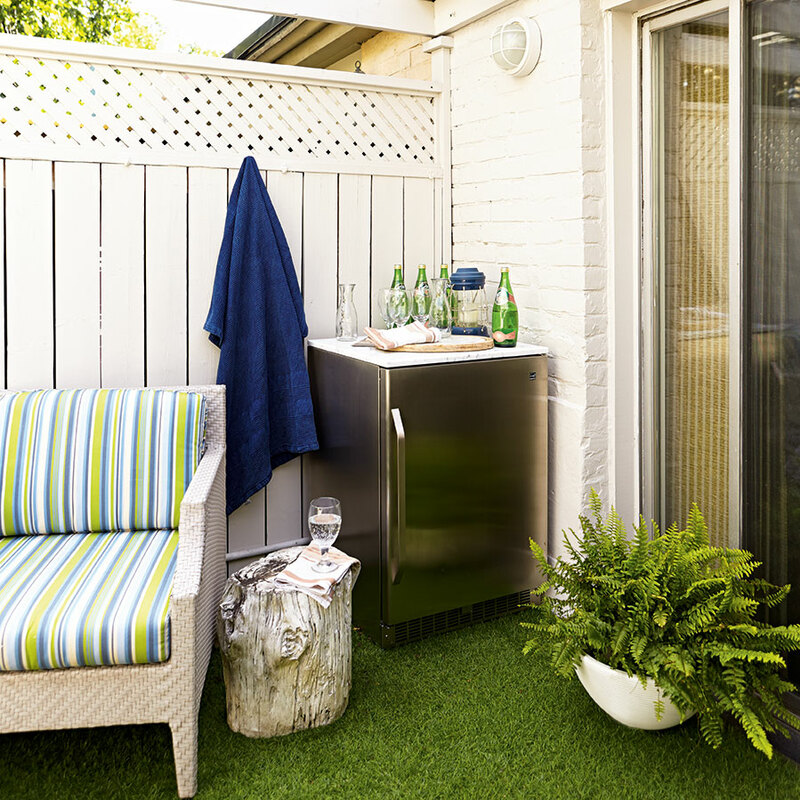 With a tight-budget and grandious ideas in mind, I set out to create two very different outdoor spaces; 1 for dining on a small ground-level deck and a space for entertaining on a sunny upper terrace. As the lower deck was in dire need of demolition, I spent the majority of my budget on that (this will be featured in an upcoming blog post). The upper terrace was purly cosmetic… outdoor carpeting, paint and a few small luxuries to make climbing the 3 flights of stairs worthwhile. 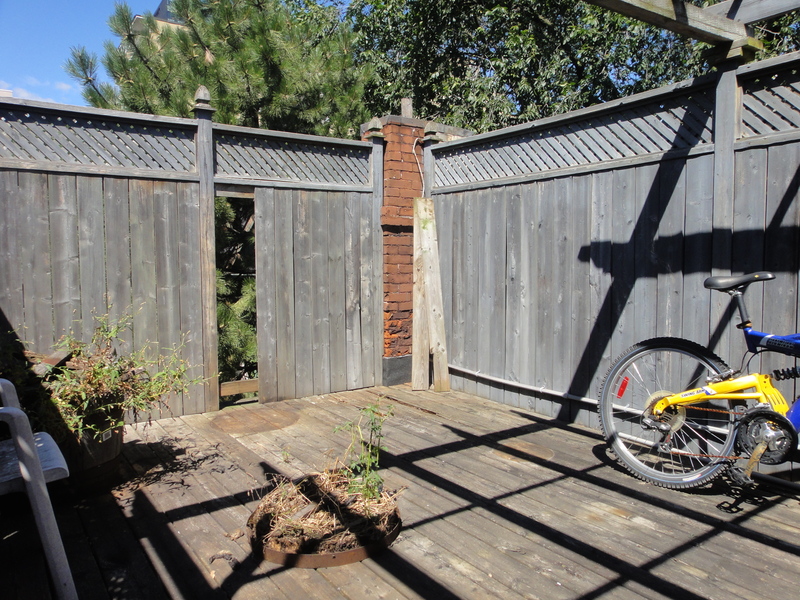 Here’s a picture of the ‘BEFORE’ terrace… a space I had only used to store my bike. Here is the ‘AFTER’… brighter, fresher and a completely different space! The artificial shag grass is from Home Depot (less than $400) and the electric fireplace is from Dimplex; an industry leader in electric fireplaces for indoors and out. The paint is an off-white putty colour and is much more soothing on the eye than crispy white- especially on a super-sunny day. I was very happy with the results and more thrilled that Canadian Living magazine featured the terrace in the May issue. I had a lot of fun planning and working on the photoshoot with Canadian Living’s Home & Garden Director, Brett Walther. 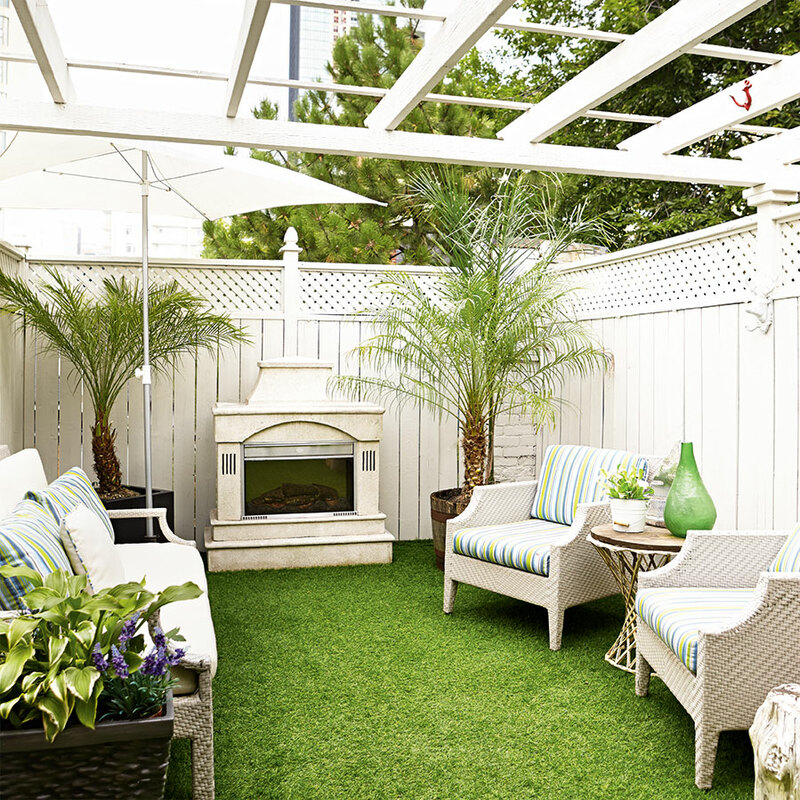 Click here to read the online article and find all my shopping sources for this terrace makeover.